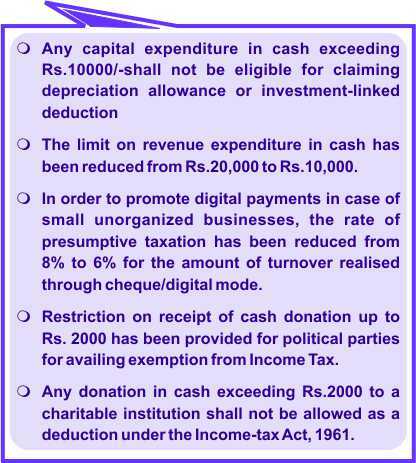 Various legislative steps have been taken by the Finance Act, 2017 to curb black money by discouraging cash transaction and by promoting digital economy. Any contravention to the said provision shall attract penalty of a sum equal to the amount of such receipt. However, the said restriction is not applicable to any receipt by Government, banking company, post office savings bank or co-operative bank. It has also been decided that the restriction on cash transaction shall not apply to withdrawal of cash from a bank, co­operative bank or a post office savings bank. Necessary notification in this regard is being issued. Cash withdrawal​ doesn’t attracts, but later notice will be delivered on dashboard in income tax website to reply how the amount has been utilized ,?? Exactly. Why should a person who wishes to make digital payment should end up in paying more by way of service charges, etc. This is certainly a hitch in promoting digitalization. This is just not possible. Rate of tax has already been reduced from 8% to 6% on digital payments received by business houses. 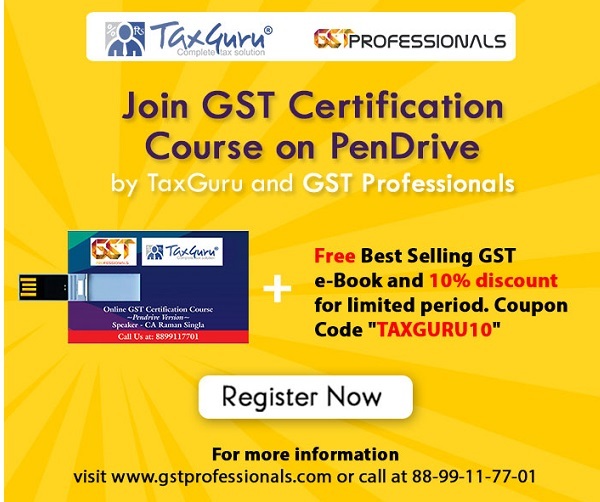 What registers and records are to be maintained under GST by service provider.